Han Solo lies carbon-frozen in the hands of the hideous gangster, Jabba the Hutt. As Luke and Leia race to the rescue, the Rebel commanders are planning the next move against the Empire. Even as the Rebel ships mass to form a giant armada, the Galactic Emperor orders construction to begin on a new space station, many times more powerful than the dreaded Death Star. 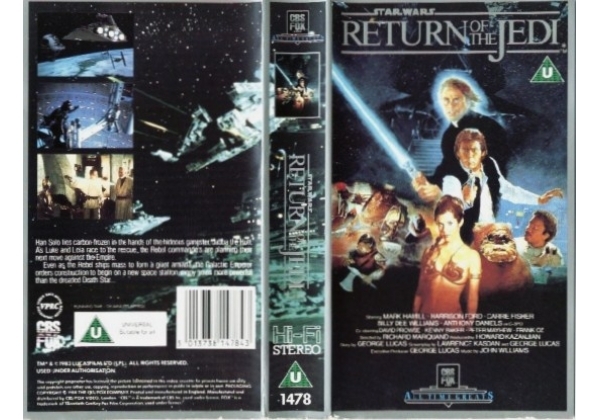 . .
Or find "Return of The Jedi" on VHS and DVD / BluRay at Amazon.